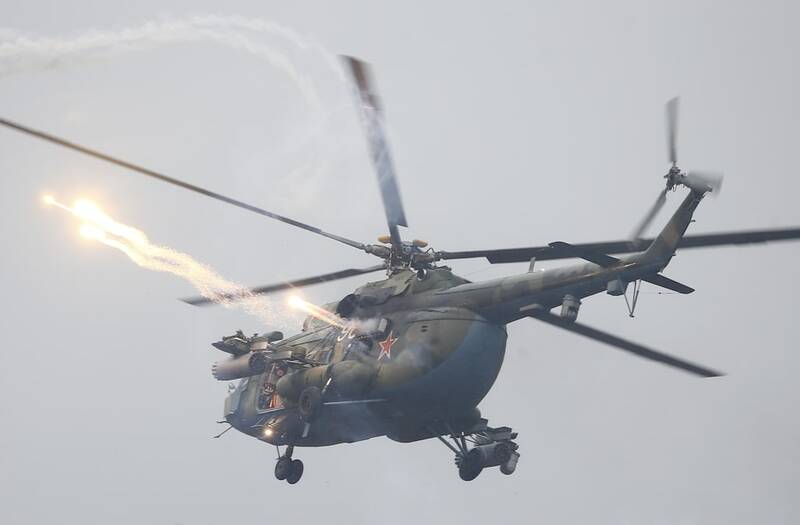 MOSCOW, Sept 19 (Reuters) - A military helicopter on a rural training exercise in western Russia mistakenly fired rockets at a group of parked vehicles, knocking at least one person to the ground, footage posted by Russian news sites and on social media showed. A video clip published on Tuesday by the independent news site Fontanka.ru showed a helicopter firing a salvo of rockets at a military truck covered in camouflage netting in open countryside, with three vehicles with no military markings visible, parked a few meters away. A man in civilian clothes who had been standing close to the truck was engulfed in a cloud of dust. The person filming the clip, who was slightly further away, could be seen sprawled on the ground. Russian President Vladimir Putin uses a pair of binoculars while watching the Zapad-2017 war games, held by Russian and Belarussian servicemen, with Chief of the General Staff of Russian Armed Forces Valery Gerasimov seen nearby, at a military training ground in the Leningrad region, Russia September 18, 2017. Sputnik/Mikhail Klimentyev/Kremlin via REUTERS ATTENTION EDITORS - THIS IMAGE WAS PROVIDED BY A THIRD PARTY. (R-L, front) Russian Defence Minister Sergei Shoigu, President Vladimir Putin and Chief of the General Staff of Russian Armed Forces Valery Gerasimov visit a military training ground to watch the Zapad-2017 war games, held by Russian and Belarussian servicemen, in the Leningrad region, Russia September 18, 2017. Sputnik/Mikhail Klimentyev/Kremlin via REUTERS ATTENTION EDITORS - THIS IMAGE WAS PROVIDED BY A THIRD PARTY. Russian President Vladimir Putin (L) and Chief of the General Staff of Russian Armed Forces Valery Gerasimov (C) watch the Zapad-2017 war games, held by Russian and Belarussian servicemen, at a military training ground in the Leningrad region, Russia September 18, 2017. Sputnik/Mikhail Klimentyev/Kremlin via REUTERS ATTENTION EDITORS - THIS IMAGE WAS PROVIDED BY A THIRD PARTY. Russian President Vladimir Putin uses a pair of binoculars while watching the Zapad-2017 war games, held by Russian and Belarussian servicemen, with Defence Minister Sergei Shoigu (R) seen nearby, at a military training ground in the Leningrad region, Russia September 18, 2017. Sputnik/Mikhail Klimentyev/Kremlin via REUTERS ATTENTION EDITORS - THIS IMAGE WAS PROVIDED BY A THIRD PARTY. Russian President Vladimir Putin uses a pair of binoculars while watching the Zapad-2017 war games, held by Russian and Belarussian servicemen, with Defence Minister Sergei Shoigu (2nd L) seen nearby, at a military training ground in the Leningrad region, Russia September 18, 2017. Sputnik/Mikhail Klimentyev/Kremlin via REUTERS ATTENTION EDITORS - THIS IMAGE WAS PROVIDED BY A THIRD PARTY. Russia is currently staging the "Zapad 2017" war games in the area, major exercises on NATO's eastern flank that were inspected on Monday by Russian President Vladimir Putin. Fontanka.ru said the incident occurred on Sept. 18 and left one person with concussion. It did not give details on the source of the video. A second video from the same location, which was posted on social media by Russian investigative bloggers Conflict Intelligence Team, showed the aftermath, including a smashed window in a white jeep nearest to the truck, and shrapnel damage to the military truck. 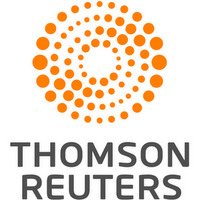 Reuters could not independently verify the videos. The Russian Defence Ministry's western military district, in a statement cited by Interfax news agency, said that during a training exercise a helicopter's targeting system had mistakenly acquired a target, but denied anyone had been injured. The representative cited by Interfax did not say when the incident happened, or where, or if the exercise was part of the "Zapad-2017" war games. "As a result of a strike by an unguided rocket, a cargo vehicle with no people on board was damaged," Interfax quoted a representative of the military district as saying. The Western military district includes north-western Russia and the Russian exclave of Kaliningrad, all areas where the "Zapad-2017" exercises are focused. Russia's defense ministry in Moscow did not immediately respond to a Reuters request for comment. Asked by reporters about the incident, Kremlin spokesman Dmitry Peskov referred questions to the defense ministry.